Support for your muscles on long, hard days in the saddle. 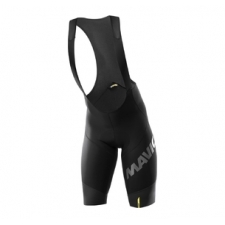 Highly supportive and stretchy material provides noticeable muscle support for long, hard climbs. Pro-level comfort for going all out. Ergo 3D Pro chamois features a unique Ortholite multilayer construction. Designed for comfort and performance in a climbing position. Extra light thigh construction grips your legs for no bunching or pressure points. Stay cool in an aggressive riding position. 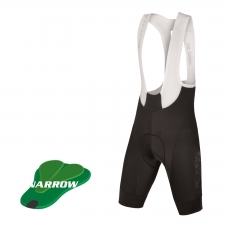 Low-profile bib is cut below the belly button for maximum ventilation. Pre-shaped pattern provides extra air flow. Buy your Mavic Cosmic Ultimate SL Bib Short from Revel Outdoors.